All items and products presented on the website available under the title and a detailed description of the product. Any additional products or accessories that can appear on photos of each product, there simply to enrich the shooting grounds and certainly not included in the price, which relates only to the product, as the title of each entry and is described in detail in corresponding description. All product prices are in euros and include the applicable VAT. All product prices related to the cash market products only through the website and not by the store. When a product listed on our website at bid price, then, for what this value and no other extra discount if provided with products of the same category. There is a right to change the products, according to the policy store. Clearly, the change is made to equal value products and that the return of the product to change the packaging and in perfect condition and the presentation of the respective document is indispensable. Orders are shipped within the Greek territory. The order shipping costs, where they are to be charged to the customer. displayed automatically in the order and included in the final cost. 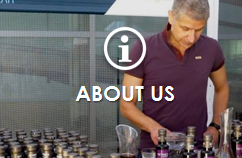 Our company makes every effort for the availability of the products displayed on our website and in any case ensure that timely information to customers about the availability of their product orders. Evidently the customer's right to cancel an order if any of the products are not available. Our company has the right to make telephone confirmation of a customer's data in the first order, and telephone confirmation orders with special characteristics, such as their high monetary value. Our company has the right to disable accounts through which systematic fictitious entry (false or continuously sacrificial) orders. 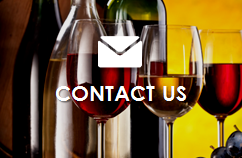 Cancellation of an order can only be made through the operation of the customer's account messages. In case the order is displayed in the account as "in progress", which means that it has been sent, the cancellation can be done only by telephone. Our company strives for accurate registration of all data and information, prices and descriptions of products contained on the website, subject however always spelling, typographical or other errors. We clarify that costs orders exceeding € 200 or orders large shipping cost, possibility prompted the advance payment before shipping. 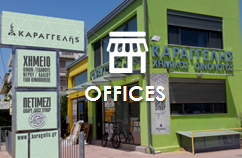 The customer has the right to market withdrawal made through the online store of Karagelis.gr, within 14 days from the day of receipt of the product. - The product should not be used, nor in any way has been opened or tampered with the packaging and the distinctive tags and labels that can bring. - The change process should take place within 14 day from the date of receipt of the product. - The product must be shipped to the customer with prepaid and insured shipment with proof of purchase and in appropriate packaging to protect the product. Upon receipt by the company return the product passed the necessary quality control in order to approve the refund process the customer. 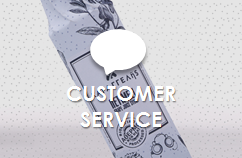 The Karagelis.gr company commits to refund the value of the product, if approved, then the quality control within (ten) 10 days and to inform the customer through informative email. It is clarified that in any case, all of the costs for the restoration of order in the headquarters KARANGELIS company and any supplies (eg. Tained costs if bank payment), borne entirely by the customer. The cookies are small text files that are installed on your computer or electronic device, through the browser, when you visit our website. Our cookies help to collect information needed to measure the effectiveness of our website, improving and upgrading its content, adapting to demand and the needs of users and to measure the effectiveness of the presentation and promotion of our web place to third party websites. A cookie file from those used on our site does not collect information that identifies you personally. The "transient» cookies stored on your computer or during electronic device visit our website and derecognised you leave him. The "persistently» cookies remain on your computer or electronic device for a longer time until deleted by you. We only allow the Google Analytics install the Cookies we use. If through our website you access to websites of third parties or connect with social networking players (twitter, facebook, youtube), you should be aware that third parties are Web sites or entities may install cookies as soon as you click on the link . These cookies are outside our control and field governed by politics cookies of any third party installs. You must read the respective policies of the websites, to see exactly how it should be managed. The menu of most browsers provide options on how the Cookies management. These options vary depending on the browser. Depending on the options that gives you the browser, you can allow the installation of Cookies, disable / delete existing or to be notified when you receive cookies. Directions to manage and delete Cookies are commonly found in the "Help" menu, "Tools" or "Edit" browser. Also, you can find more detailed guidance on www.youronlinechoices.com/gr which explains in detail how control and delete cookies files in most browsers. Please be advised that in case reject or disable cookies of our website, the websites functionality may be partly lost. Also, turning off a cookie or a category Cookies, not deleted the cookie from the browser. Such a move should be done by you, by changing the inner workings of the browser. Any changes to this Policy will be posted here soon. Our company stores and manages the personal data of all applicants as members of the Web site solely for their convenience and for the processing of orders.